Health and Social Care (HSC) required a recruitment campaign for Nurses, Midwifery Community Nurses, Social and Mental Healthcare workers. 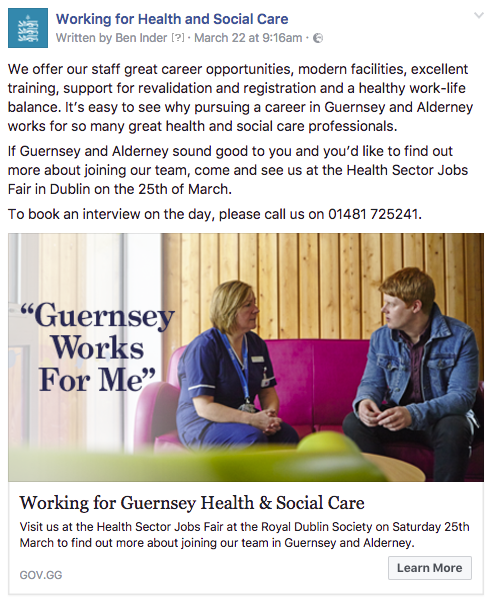 We were tasked with raising awareness of opportunities in Guernsey, and what Guernsey can offer from both a career and work/life balance perspective. We developed a marketing campaign that gave HSC more depth. 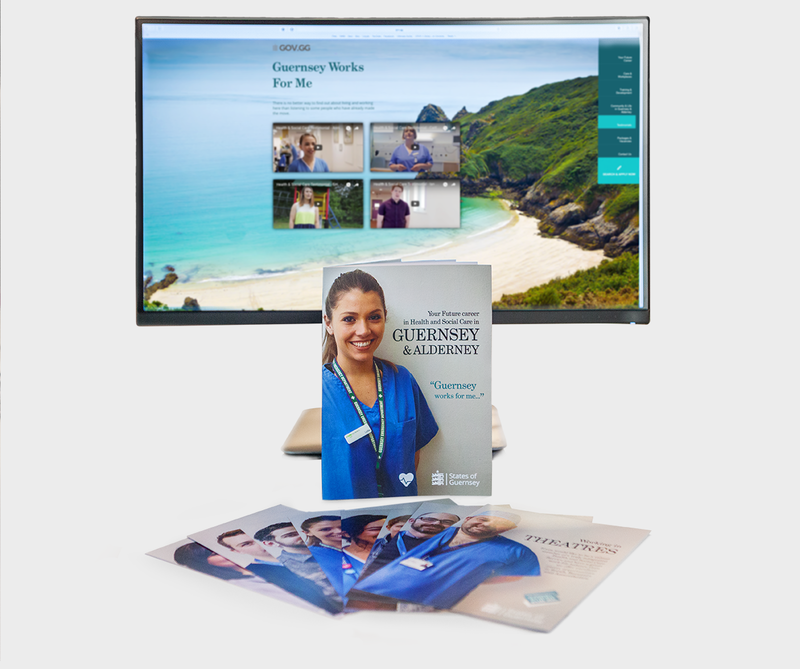 Research showed that the key driver for re-location to Guernsey was the quality of care and work employees could undertake, while still maintaining a good work life balance compared to other positions in NHS hospitals. 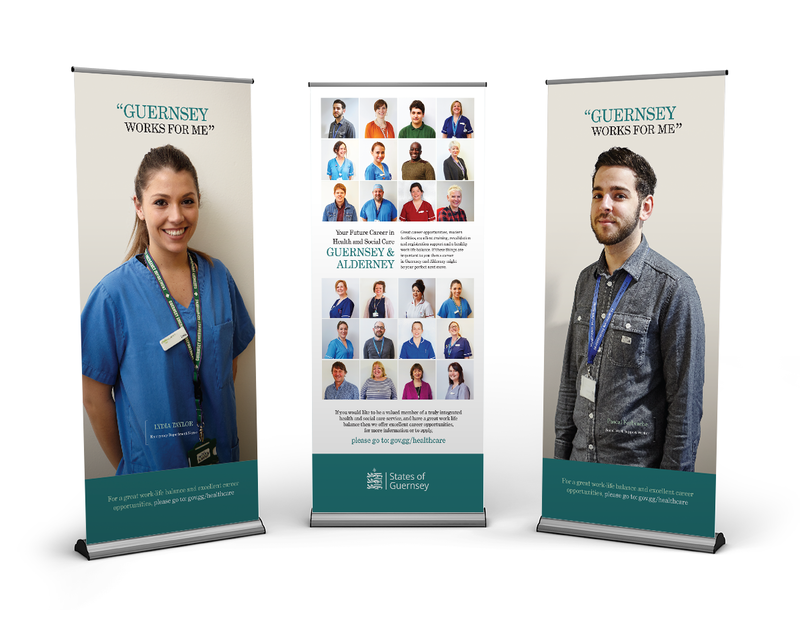 We used real people that work for HSC in all marketing collateral, with the “Guernsey works for me” line to tie it all together. We crafted a digital led campaign that provided HSC with greater awareness at a lower media cost, with targeted adverts being placed across social networks and Google search. Our social media and paid search adverts were displayed more than 4 million times to relevant users in the UK and Ireland. These adverts drove 37,019 clicks to gov.gg/healthcare, of which 2,071 users who clicked on the “Search & Apply Now” button.